A hill (and a thrill) with a view. 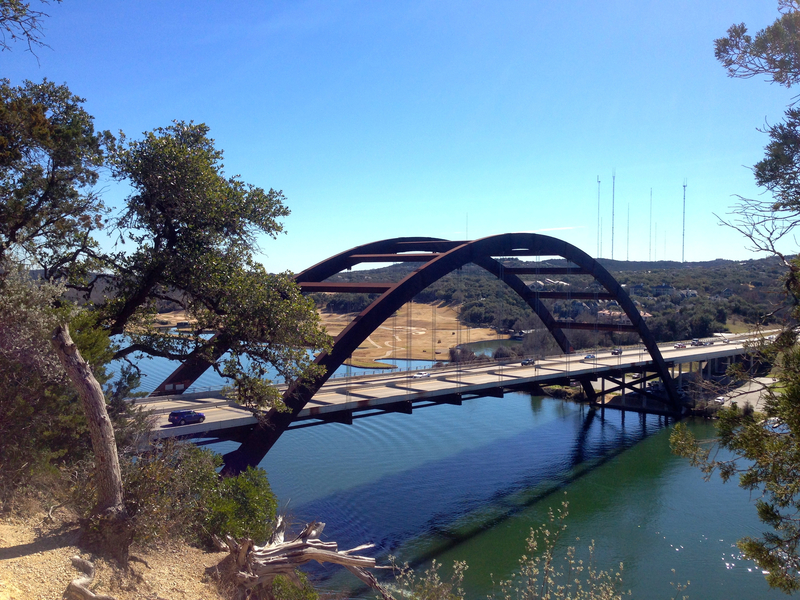 One of many familiar images of Austin is of the Pennybacker Bridge at Loop 360, overlooking a stretch of beautiful Lake Austin. 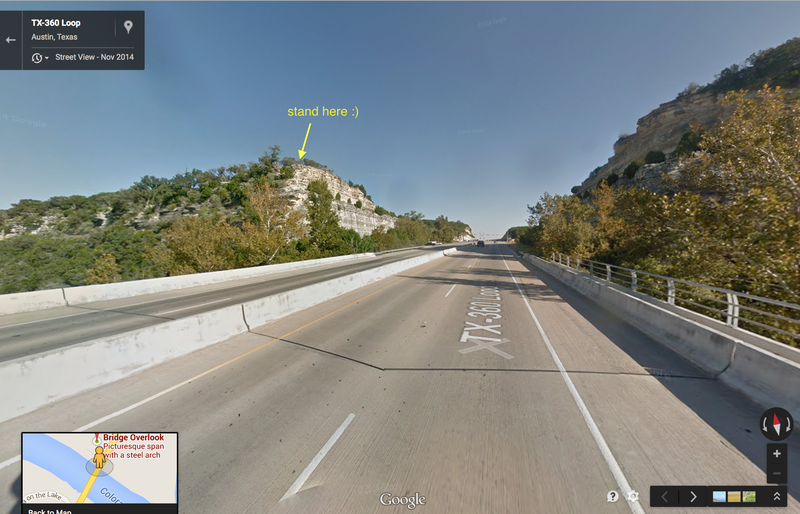 The 360 Loop drive and its Hill Country views are one of my favorite parts of Austin. I crossed off one of my must-do’s by hiking up the cliff overlooking the bridge to take in the view for myself. In the panorama above, you can just see the downtown skyline peeking over the hill on the left of the image. I’m not afraid of heights, but I have to say my heart skipped a beat or two as I stood on the rock on the edge of the cliff. I think I like this shot better. It’s taken from a vantage point slightly farther west, down the trail along the top of the cliff. Just another gorgeous day in my little corner of paradise. Next Next post: Stained glass trilogy.